Home » Loans » Different Types Of Loans: Which One Is Right For You? If you are struggling with a high level of debt, you are probably already considering the possibility of taking out a loan. But, there are a number of different loan types to choose from and you may be surprised to learn that not all of them will be beneficial to you. It will depend on the type of debt you have found yourself in and how easily you will be able to pay it off. So, let’s look at a few and find which one is right for your individual situation. This is probably the best and easiest of the debt relief solutions. It involves paying off most of your debts and consolidating the rest into one payment that goes out of your account each month. If anyone has difficulties with these loans it is typically because they did not understand what they were getting into when they signed up for it. A good loan company will meet with their clients face to face and give a free consultation of their situation. The client can then decide whether or not a consolidation loan is right for them. If you have a number of different sources of repayment that need dealing with a consolidation loan is often your best form of attack. How it sounds is exactly how it is. Typically if you have had difficulty paying your rent or bills on time in the past, you will have a bad credit rating. Generally speaking this makes it difficult to get a loan at all and can be a nightmare if you are eager to buy a house. You will not be able to buy one because you will not be able to get a company to provide you with a mortgage. The solution is a bad credit loan, a loan offered to those with bad credit ratings. The problem with these loans is that the companies know clients are desperate. That means they can charge big interest rates. Open ended loans mean that you can keep borrowing money without paying it back. Credit cards are an example of these types of “loans” because you can purchase money on them continuously, raking up a history of bad credit as you go. You will also find that this is how credit card bills get increasingly out of control because there is no limit on how much you can spend. Once you reach the actual limit you will already be well into a level of debt you may not be able to deal with. As such, buying on credit is hardly ever the answer when struggling with payments. You should try to avoid these type of loans at all costs. Don’t even consider taking one because it is simply not worth it. A payday loan is where you use your next paycheck as a guarantee to pay back the money. You can probably see why this would be tempting because it puts cash straight into your hands and gives you a simple way to deal with the bill. But it doesn’t really because that does not take interest into account. Interest rates on payday loans are renowned for being ridiculously high and unmanageable. 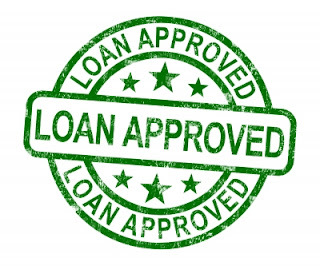 Now you know the different types of loans, you can choose the right one for you. Best way to decide which loan you need is to find a good financial consultant to explain the differences and help you make sense of what you need! I just could not leave your site before suggesting that I really loved the standard info a person provide to your visitors? read through a single thing like this before. So good to discover another person with some genuine thoughts on this subject.